Record Nations understands the importance of quality, accuracy, and consistency for your blueprint scanning project. We have the capacity to index and scan any volume of documents in a timely manner, at a reasonable price. Scanning can be done at your location or ours with our scanners that can handle large format drawings and schematics. Many of our customers choose to have their scanned documents run through optical character recognition (OCR) software to give you editable documents. This allows the images to be viewed and searched by one person or your entire organization based on your specifications. We prepare the blueprints for scanning. We convert the drawing into a digital image. Every image is indexed, making it easier to find and manage. Files can be converted into an editable format with OCR. 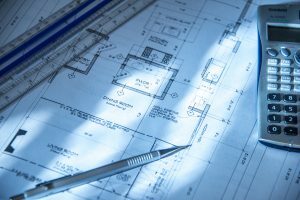 No matter what size your blueprints are or how many you have, Record Nations can help you find the top scanning services in your area. Don’t miss the opportunity to make sure all of your blueprints are scanned and stored in the best, most efficient way possible. To receive a free quote today, fill out the form to the right or give us a call at (866) 385-3706. Within minutes of receiving your request, you will have free quotes from experts in your area that can help you.